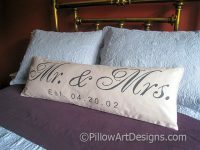 Personalized lumbar pillow cover, made to fit 12 X 36 pillow insert (not included). Perfect gift for engagement, wedding or anniversary, especially 'cotton' anniversary for 2nd year. 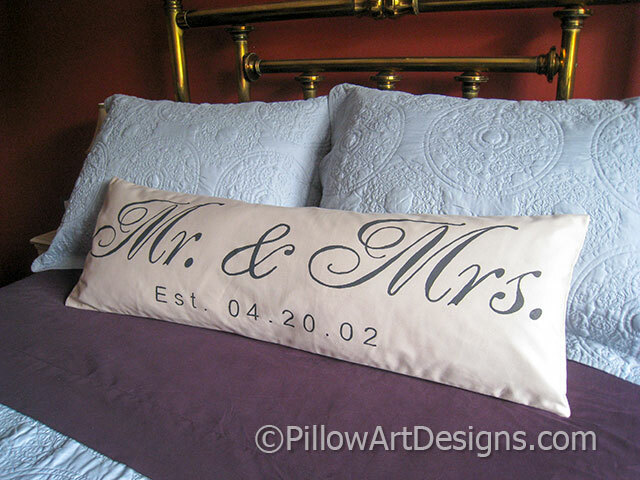 Mr and Mrs hand painted in black non toxic fabric paint, 'est' date in numerical format below. Outer fabric beige cotton polyester twill, fully lined with white cotton polyester. Seams double stitched for durability and overcast to prevent fraying. 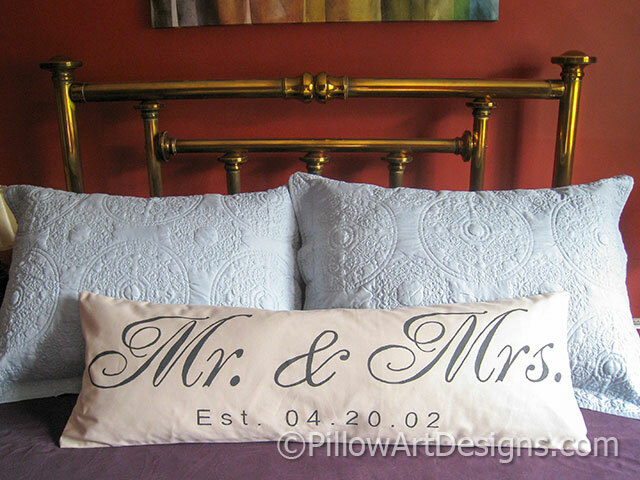 To order, purchase this listing and remember to send me your date numbers for the front of the pillow cover. Please allow 1 week for me to complete your order.